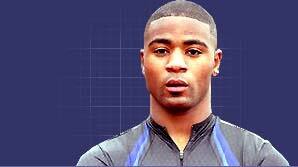 I'm Mark Lewis-Francis, one of Britain's top sprinters. I run for the Birchfield Harriers and I'm here to give you a few ideas on how to sprint faster. It's all about being smooth, relaxed and thinking positively. Check out my masterclass and you too can be a star on the track. Check out who's the King of speed!